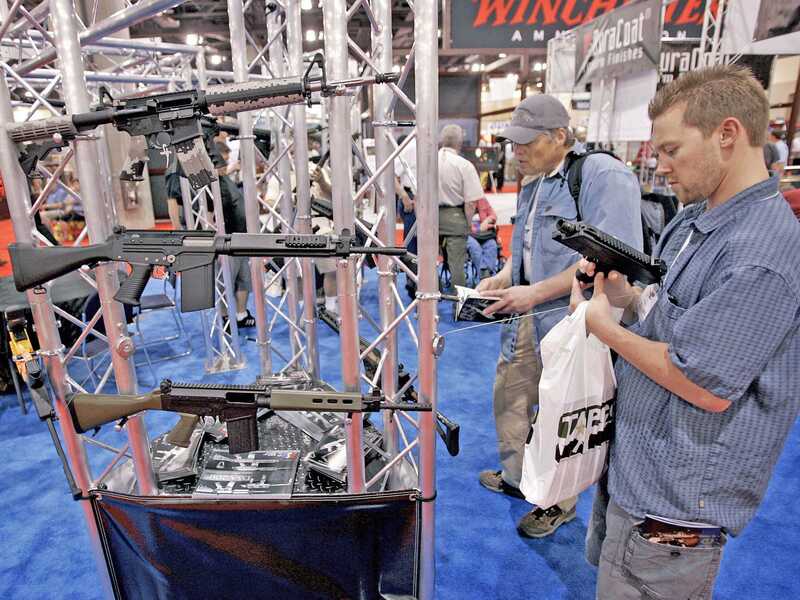 A growing number of firearm firms in the US are vowing to reverse-boycott local and state governments that enact any new infringements on the Second Amendment.Vowing to close what they’re calling “the police loophole,” at least 50 US companies, ranging from gun machinists to gun shops, are now saying publicly they’ll refuse to sell weapons and gear to police in places where governments have banned the use of the same gear by civilians. The move comes as Congress and some state houses are considering new gun controls in the wake of the Dec. 14 massacre at Sandy Hook Elementary School inNewtown, Conn. The most direct target of the “police loophole” movement seems to be New York State, which put into law a raft of new gun control regulations, including limiting the size of magazines, last month. “Based on the recent legislation in New York, we are prohibited from selling rifles and receivers to residents of New York [so] we have chosen to extend that prohibition to all governmental agencies associated with or located within New York,” York Arms of Buxton, Maine, writes on its website. So far, none of the major gun manufacturers have joined the list, and it’s an open question whether the smaller companies are bluffing or would even have occasion to sell directly to governments in New York State, for example. “Unless S&W, Springfield Armory, Ruger, Remington, etc. get on board, these boycotts are practically useless,” writes an anonymous poster on the Sipsey Street Irregulars blog. Meanwhile, the push for more gun control continues across the country, led by President Obama. On Friday, Obama’s political advocacy group, organising for Action, held over 100 events across the country, including letter-writing parties, rallies with police chiefs and mayors, and candlelight vigils, to push for Obama’s federal gun control plan, which includes beefing up background checks and banning assault weapons and high-capacity magazines. Nevertheless, at least one of the companies on the “police loophole” list, Predator Intelligence of Phoenix, Ariz., says its pushback against new gun control laws is having an impact. “We have police from LA and NYC that contact us about purchasing Magazines if they provide proof,” the company wrote recently on Facebook. “Why should we consider sending them to states that want to enforce laws that are unconstitutional?” Indeed, the lack of support from police may have led the Minnesota State Senate this week to drop proposals to ban assault weapons and high-capacity magazines. “The assault weapons ban and high-capacity magazine ban proposals are highly divisive,” Sen. Ron Latz, the chair of the Senate Judiciary Committee, told theMinneapolis Star-Tribune, noting that those proposals had not received strong support from police. While Colorado Gov. John Hickenlooper, for example, has said it’s time for new limits on some guns and ammunition, threats by a major Colorado arms manufacturer, Magpul, to take hundreds of jobs out of state if the governor signs such laws appears to have given Mr. Hickenlooper some pause. While Magpul employs 200 people directly, it’s slated to spend $85 million buying goods, particularly injection-moulded plastics, from other Colorado firms in 2013. The company says it would spend that money elsewhere if Colorado moves ahead with its gun control package, saying their customers would object if any or all of the product was built in a gun-critical state. Texas, South Carolina, and Idaho, meanwhile, are pleading with Magpul to relocate to their more gun-friendly states.